Isn't a Soap & Glory new release always super exciting?! In January, Soap & Glory gave their hair care products a massive re-haul and have brought out endless new products which I simply couldn't wait to try. 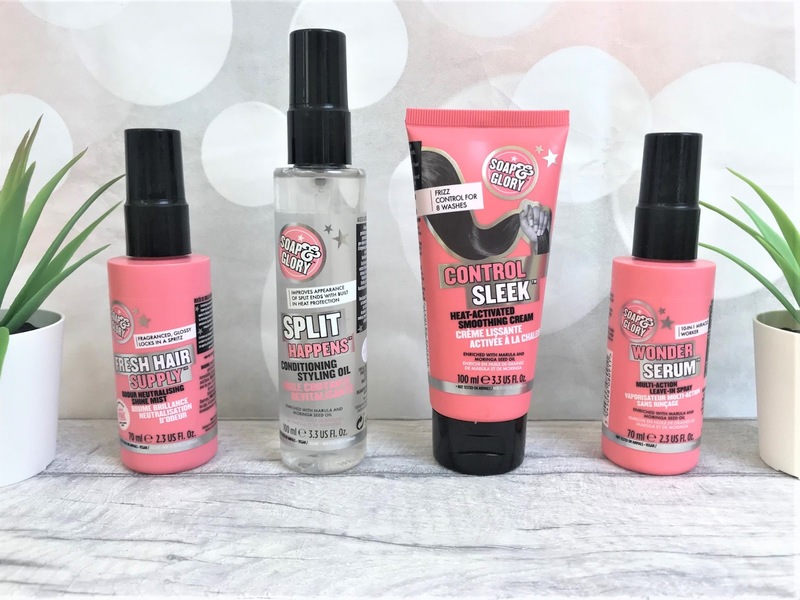 This post is all about the Soap & Glory Hair products which are based towards the styling end of things rather than the Shampoos and Conditioners. The packaging matches the other collections from Soap & Glory, so expect lots of lovely pink, black and white. 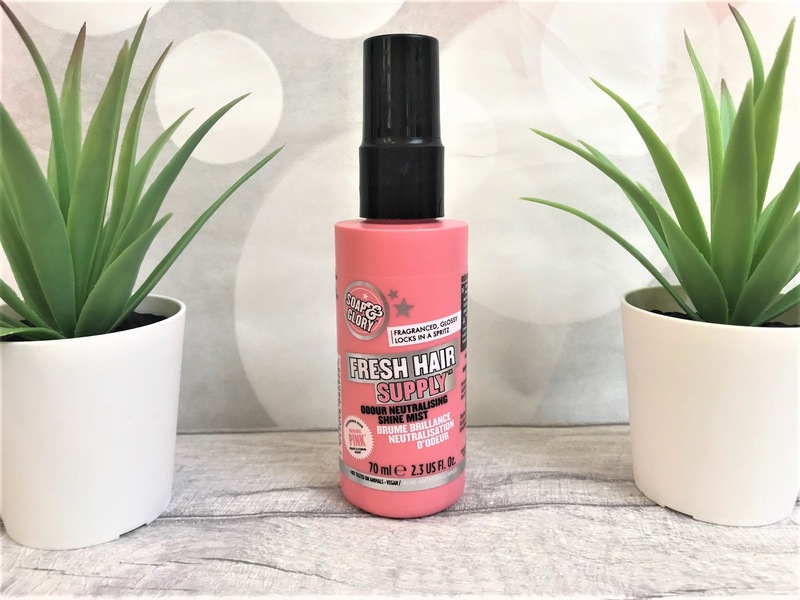 Firstly, I have been trying the Soap & Glory Fresh Hair Supply (£7.50), an odour neutralising shine mist. It has that delicious Original Pink fragrance to it and gives a fine mist when sprayed, which I much prefer as I have quite fine hair and too much product can weigh it down. Fresh Hair Supply is enriched with argan and marula oil and contains an odour neutralising technology which helps tackle lingering smells and instantly makes your hair super shiny from just a few sprays. It is suitable for all hair types and is a vegan product. Moving on to Soap & Glory Split Happens (£7.50) (Don't you just love their puns?! ), a Conditioning Styling Oil, again scented with the Original Pink fragrance to leave your hair smelling divine. Split Happens is enriched with marula and moringa seed oil and has a non-greasy formula which helps to protect against heat damage, humidity and provides long-lasting control. 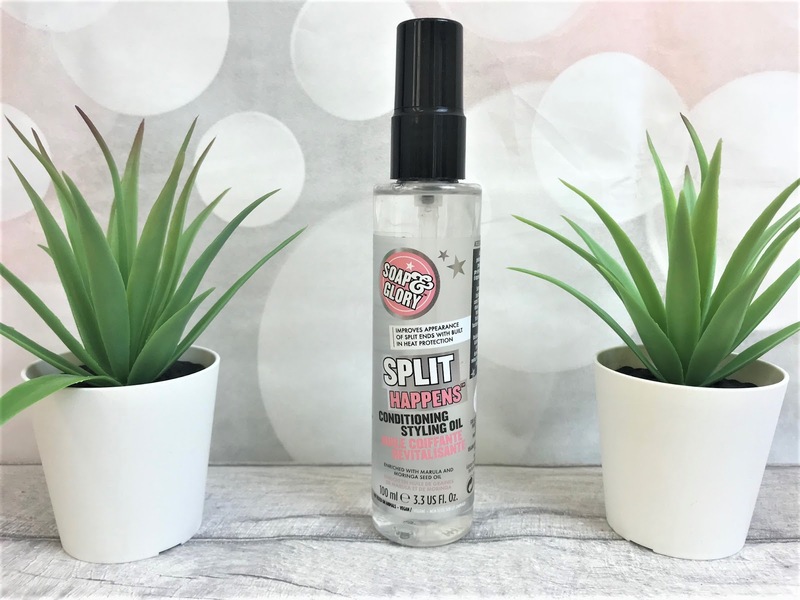 It can be used on wet or dry hair and a little goes a long way, improving the appearance of split ends and leaving your hair super smooth and shiny. 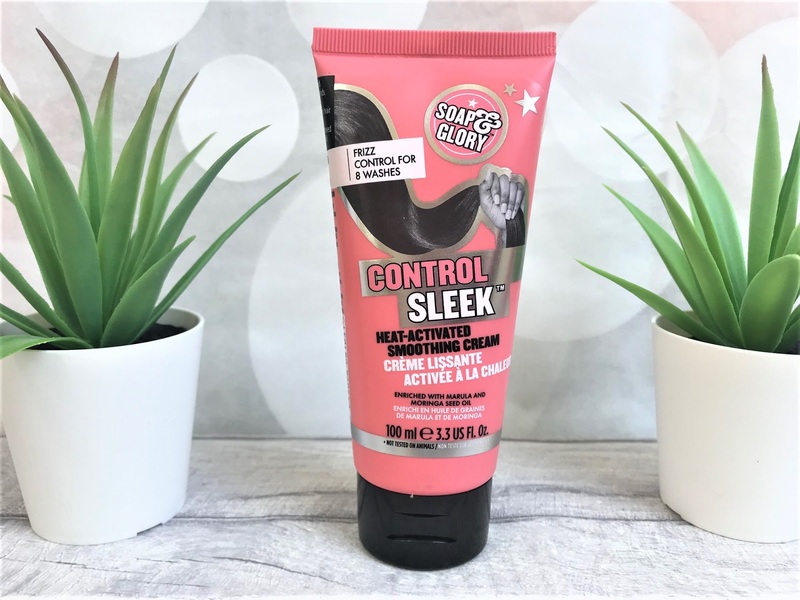 We then have the Soap & Glory Control Sleek (£9.00), a smoothing cream, which provides frizz control for up to eight washes. Control Sleek smells delightfully of lemon, grapefruit and jasmine to really refresh the senses and this heat-activated smoothing cream transforms unruly hair into frizz-free tresses. You only need a small amount of the Smoothing Cream and you simply comb it through freshly washed towel dried hair. Since using this, I have definitely noticed a difference with my frizz - or lack of it. 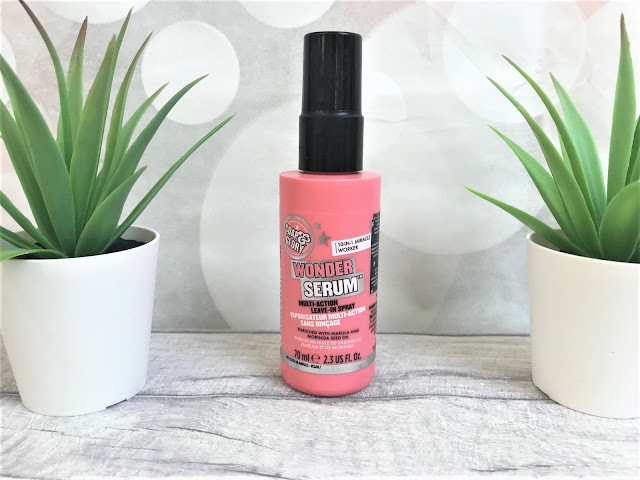 Finally, I have been loving the Soap & Glory Wonder Serum (£7.50), a multi-action leave-in spray, fragranced with vanilla and raspberry. It is definitely a 'wonder' product as it takes care of so many things and you only have to use it once a week in replacement of your regular conditioner, leaving it on for 3-5 minutes before rinsing. This body-boosting, anti-breakage serum improves the appearance of damaged hair by conditioning, adding shine, taming frizz, protecting against heat, detangling, smoothing split ends and softening the hair, therefore if you were to purchase just one product from the new Soap & Glory collection, then this would definitely be the one. You can find the new Soap & Glory Hair Care Collection in-store and online at Boots.